You’ll want to Amplify your sound and be heard when you speak or play music at your event, so that means getting the right pa system hire auckland. We know that with our help, your event will rock, hence we have everything from vocal pa speakers for hire to a full concert systems for hire. If you need to amplify your sound or to carry out public address then we’ve got you covered for Audio hire sound system hire auckland. 50 or more people at your event, for announcements, presentations or background music? 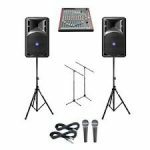 If you are looking for pa speakers or amplifier for public address, speeches, acoustic artists, ipod audio, mc or a small DJ setup, take a look at our Vocal PA System hire Package options. We suggest 1 powered speaker per 50 people at your event, and additional powered speakers can be used for spread or larger audiences. Between 50 and 150 people at your event? Events often requires pa system hire for a DJ, band or dance setups for, hence the Basic PA System Packages are very popular. You can double us these systems for bigger events such as a school ball or when a band is playing through the system. More than 100 people but under 300 and want it loud? Need something more powerful? For pa speakers or sound system for DJs in addition to bands with over 100 people in the audience have a look at the Standard PA Packages. Great for bars, venues and as a pa hire for a band. Greater than 200 people, but under 500 and organising something in a Hall sized venue? Concert audio hire or a sound system hire for bands rather than DJs with over 200 people, then please take a look at the Medium PA System Packages. Also works outside for cultural events, mid sized bands in parks gigs. 500 to 5000 people, sometimes more? If you are doing a gig outdoors or public address in a larger or wide venue with over 500 people in the audience you might want to look at our Line Array or large pa packages instead of the standard speakers. 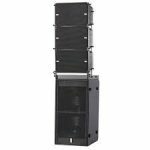 Our line array is a great outdoor sound system with better spread than conventional pa speakers. Works for both a cultural day or a live band concert alike. The number of line array elements and subs can be adjusted to suit audience size and you will get a lovely wide and even sound. NOTE: We also install and sell pa systems. Ask us about sound system options for halls, bars, bands, Djs, venues and gyms, furthermore, we encourage you to hire one from us for a day or week first, to figure out what exactly is right for you! 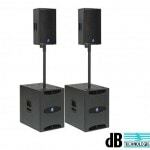 Perfect for events such as Acoustic shows, speeches, DJs and parties. Great amplifier for Weddings, conferences and functions. 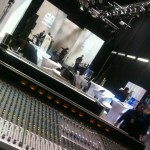 A Solution for AV at corporate events or for public address. Covers a 20 to 100 person audience. Costs between $90+GST and $275+GST to hire. Works for Small bands, DJs, cultural & dance music. Compact Components therefore great for Touring bands or DJs. This system is available dry hire or DIY events. Suitable for 50 to 150 person audiences. Costs between $250+GST and $600+GST. PA Speakers for full bands, rock bands and DJs. Sound System for music in Bars and halls. Suits 100 to 300 person audiences. Costs between $400+GST and $1000+GST to hire. 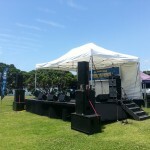 Medium Concert pa system hire. PA System hire for Full bands, loud rock bands, Reggae and DJs. This Sound System is suitable for Theatres, halls yet great for outdoor events too. good for 200 to 500 person audiences. Costs between $600+GST and $1500+GST to hire. These are PA Systems for Large concerts or events. 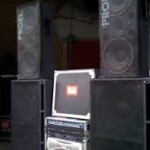 A Sound System that works for Festivals, outdoor events, especially relevant for Bands and DJs. Price on Application, hence ask us for a quote. 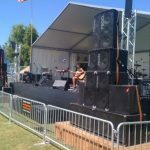 Hire a Line Array, hire sound system, Public Address for Outdoor events! This is a PA System for outdoor concerts. A sound system that has wide and even spread hence providing great coverage for outdoor public address situations. Built for audiences with 300 to 5000 people. Price on Application, thus contact us!